Excimer lasers aren't all the same. The Allegretto Wave™ Eye-Q laser system offers our patients increased speed and accuracy. The Allegretto represents a new generation of refractive technology, and is the only system specifically designed for Custom LASIK from its inception, rather than being adapted or "upgraded" at a later date. Wavelight's Allegretto represents a new generation of refractive technology referred to as "High Performance Vision Correction," that allows patients to achieve exceptional results under all lighting situations, day and night, reducing incidents of "halos" and glare. PerfectPulse Technology represents a new approach to laser vision correction – it accounts for speed, precision, and safety in the Allegretto Wave™ Eye-Q Excimer Laser System and offers improvements that are revolutionary in the field. Smart energy control measures and adjusts energy levels in the laser pulse from creation to delivery. As a result, every laser pulse is completely controlled and accurate, achieving the most accurate level of correction possible. Allegretto Eye-Q Wavefront Optimized Lasik; the newest LASIK technology. You can have peace of mind that the amount of energy in the laser has been calibrated to exactly the right level. After the beam has been created, it passes through three checkpoints on its way to your eye. At each of these points, the energy level is checked and adjusted if necessary, ensuring that the laser beam energy is perfect at its destination. Due to the remarkable speed of both the eye and the Allegretto Wave™ Eye-Q procedure, the laser beam needs to be constantly and minutely adjusted to the position of the eye at any given time. Every 4-6 milliseconds, the eye's location is measured and the internal mirrors of the Allegretto Wave™ Eye-Q are automatically aligned. Right before the pulse is released, a second check is made to confirm that the eye has not moved. This happens 400 times every second, once for every laser pulse released. If, at any time, the eye moves too quickly to be measured or moves out of range, the laser will stop and wait for the eye to move back into position. Currently, the Allegretto Wave™ Eye-Q Excimer Laser System is the fastest vision correction laser available in the United States. At 400 treatment pulses per second, it only takes about two seconds of treatment to correct one diopter. This means most treatments are over in a matter of seconds, increasing patient comfort and reducing anxiety. One of the most innovative features of the Allegretto Wave™ Eye-Q is the way it uses wavefront-optimized technology to automatically compensate for the curvature of the cornea. 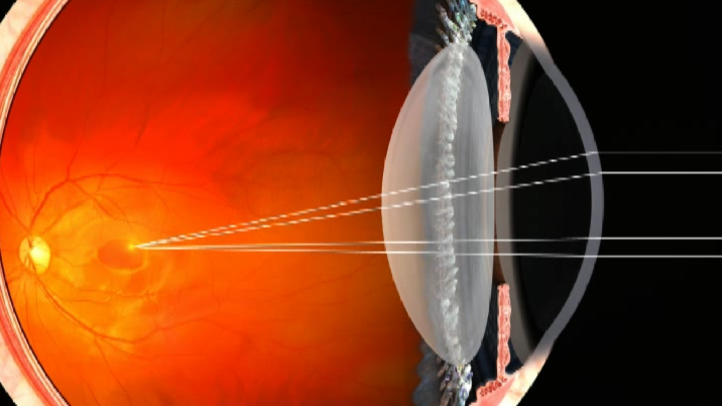 In earlier laser correction systems, the "optical zone," or area of correction, was centered on the front of the cornea; the result was a flattened circular area that ended with an abrupt edge, causing unwanted side effects like poor night vision, glare, and halos. Using wavefront-optimized technology allows a truly customized treatment. To learn more about Allegretto Wave™ Eye-Q Excimer Laser System, contact Dr. Stainer at his Bakersfield, California office today.